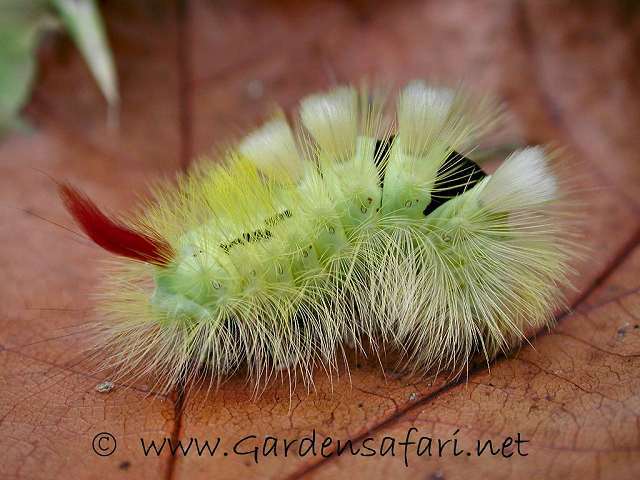 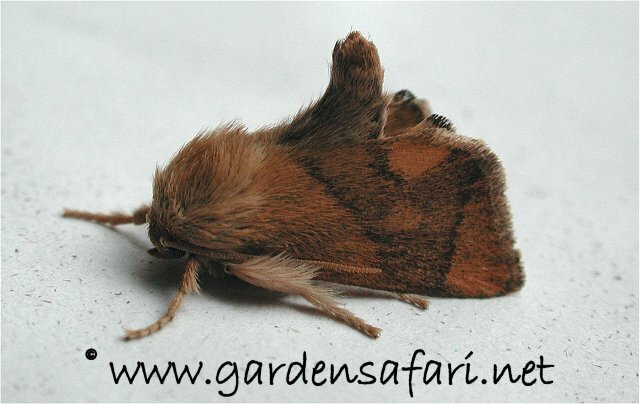 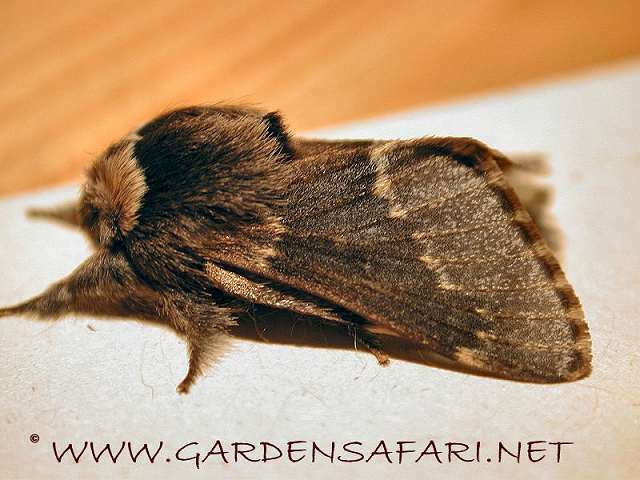 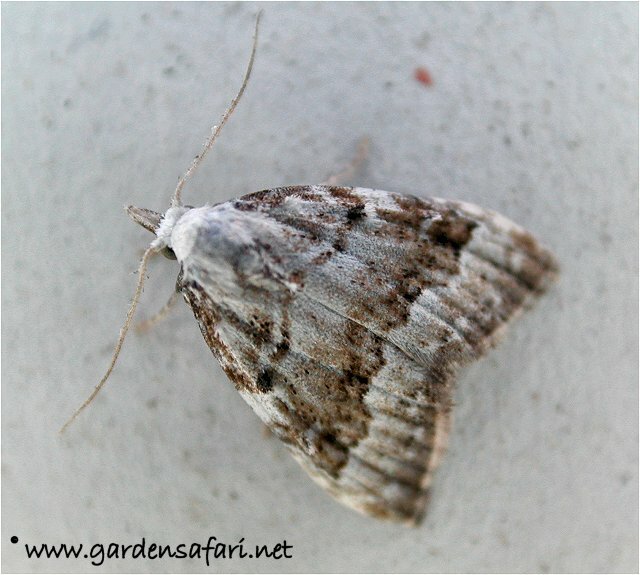 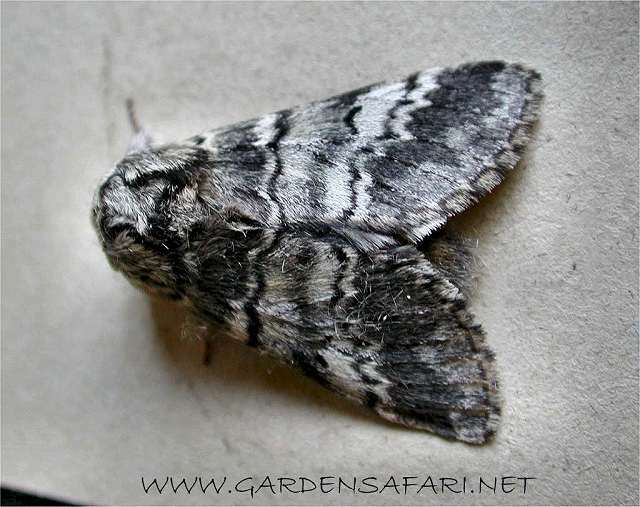 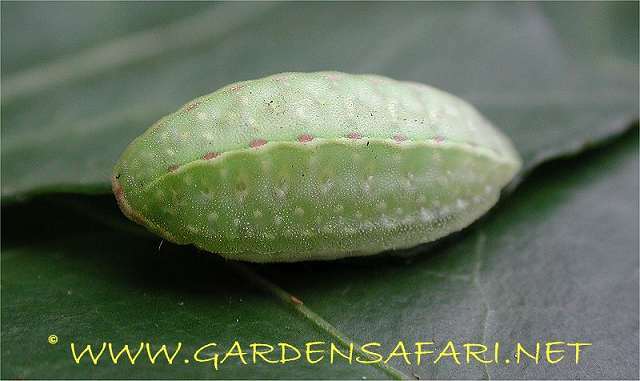 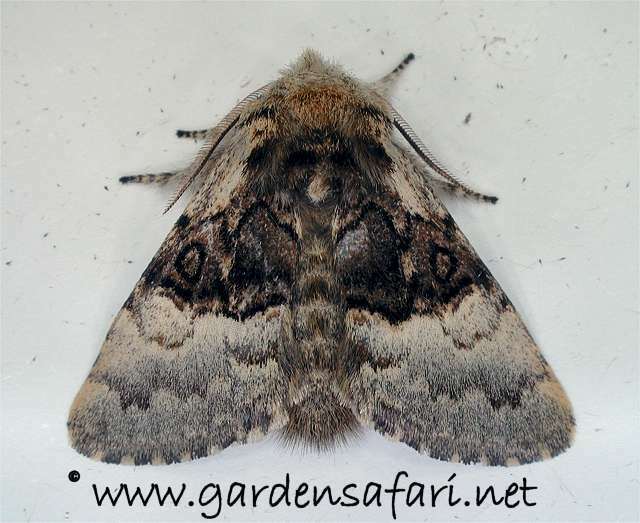 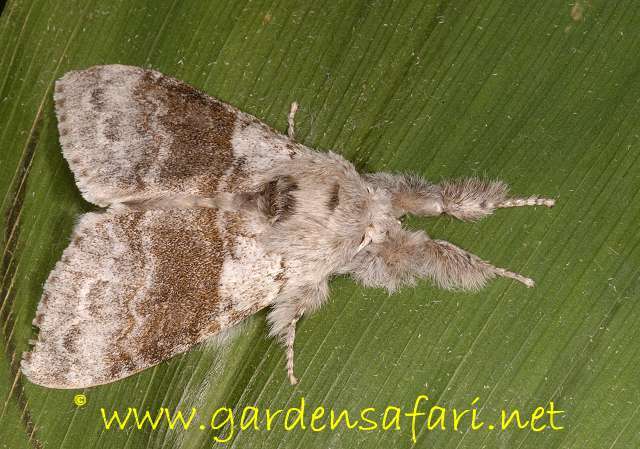 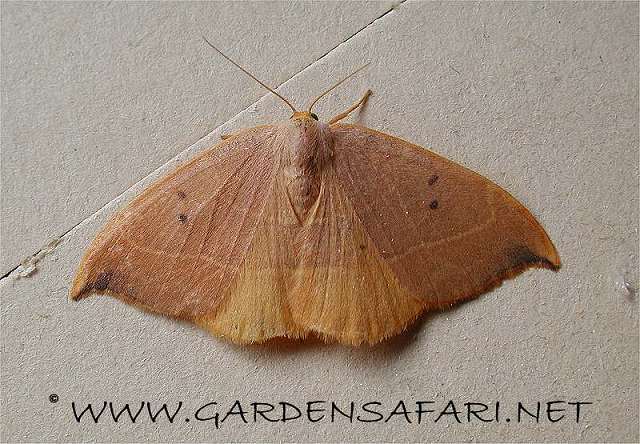 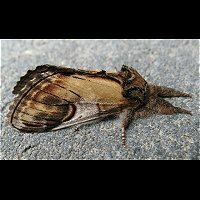 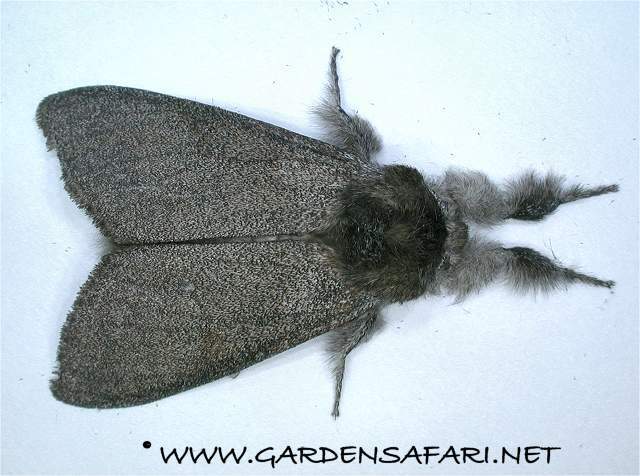 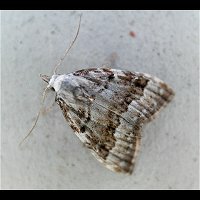 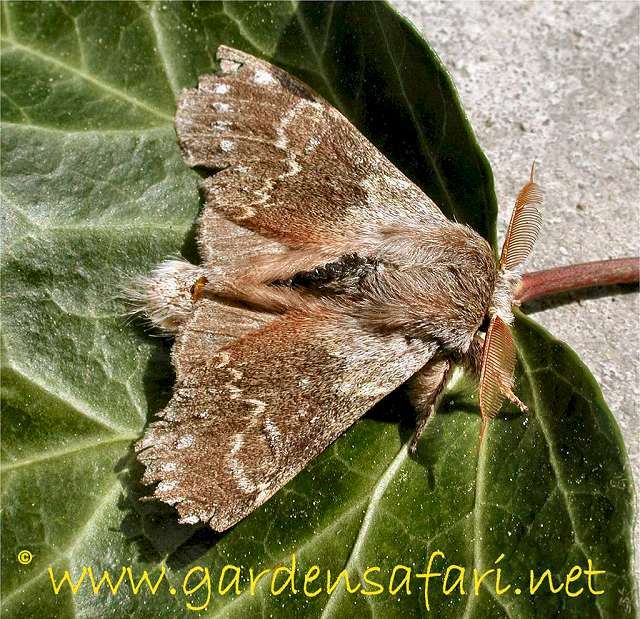 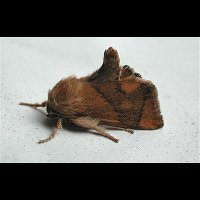 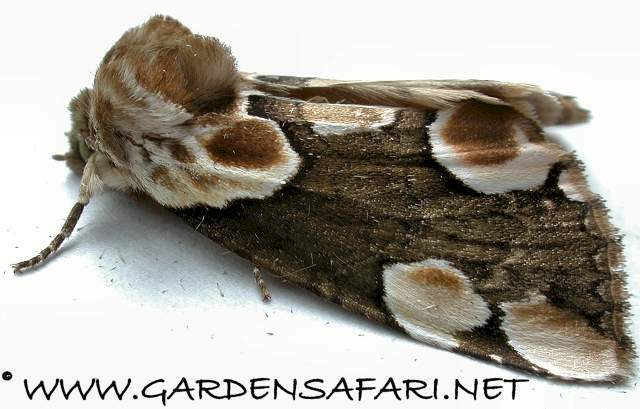 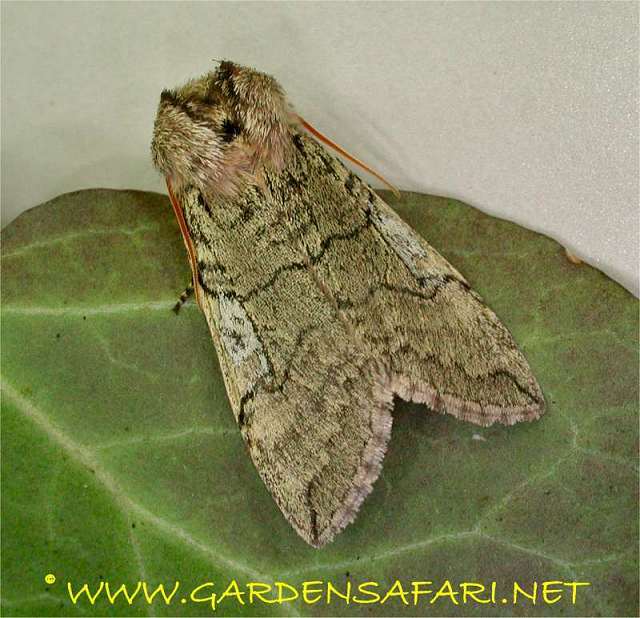 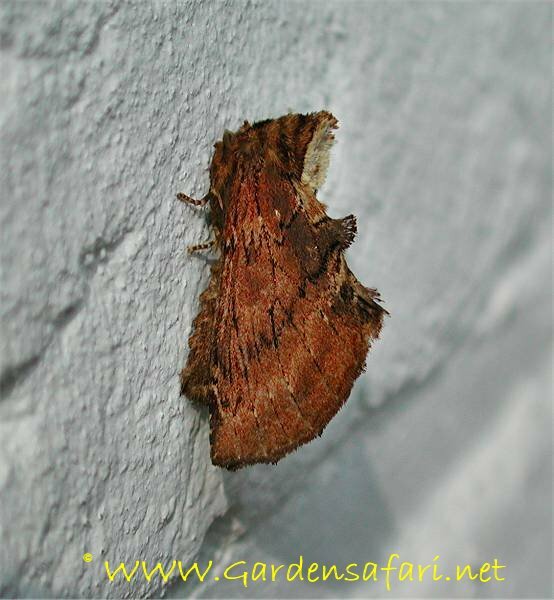 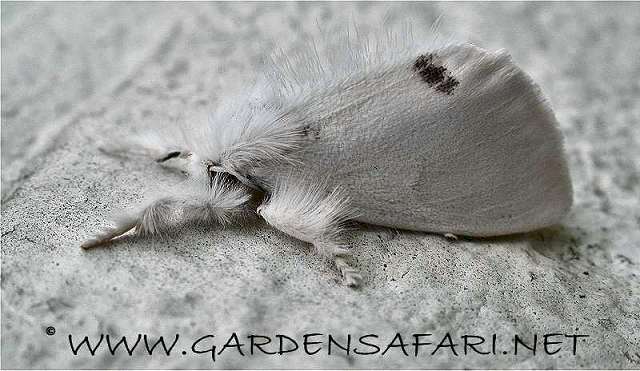 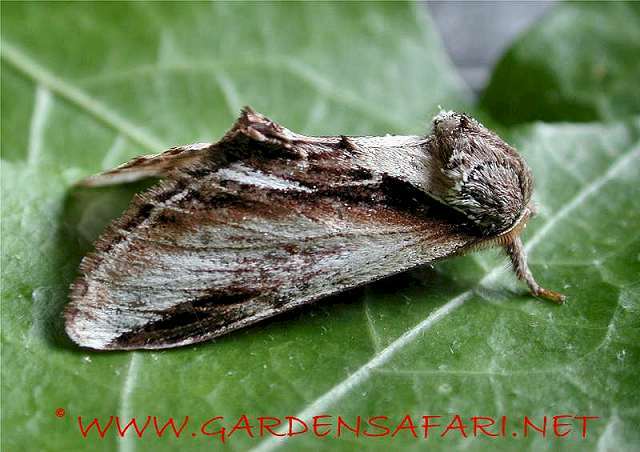 Various macro moths in our garden with lots of pictures. 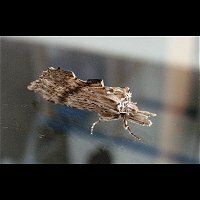 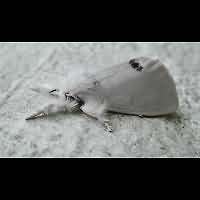 This is a collection of Macro Moths, not delt with before. 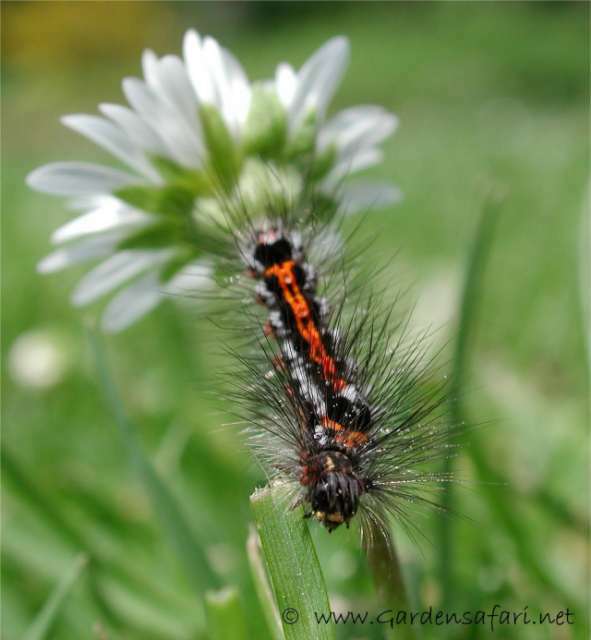 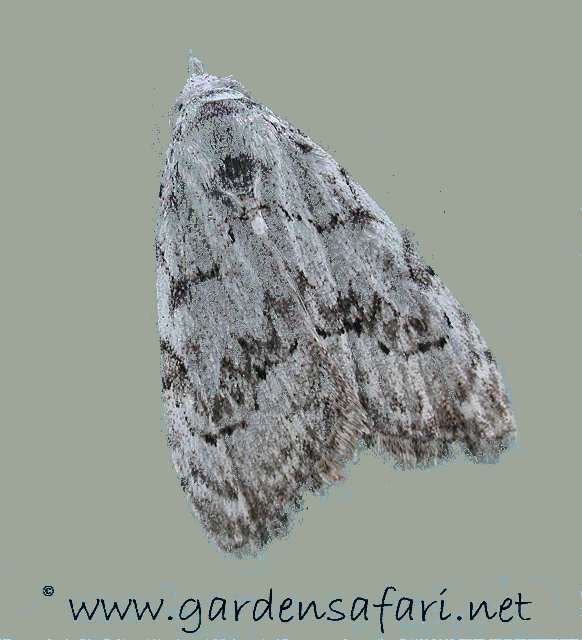 Usually this is due to the fact that they belong to smaller families, or to families of which only a few species are regularly seen in gardens. 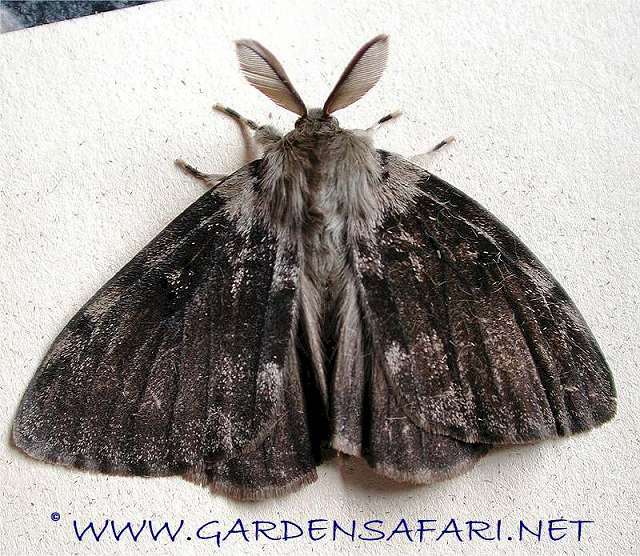 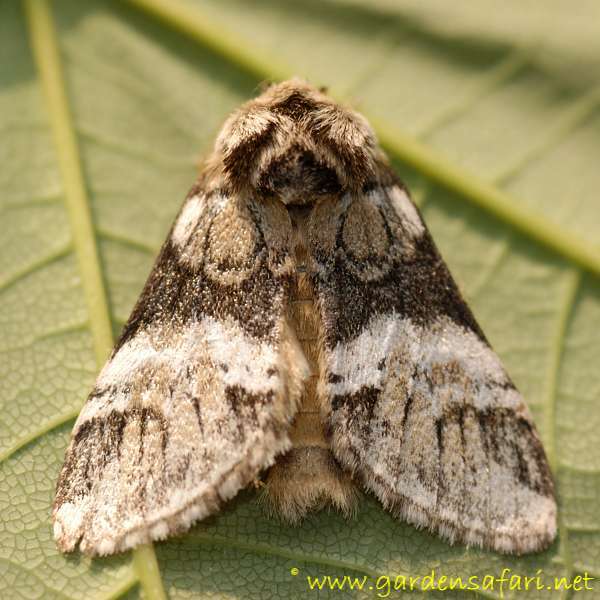 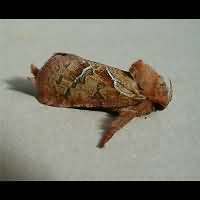 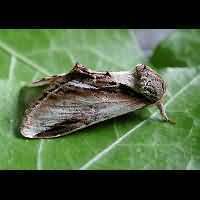 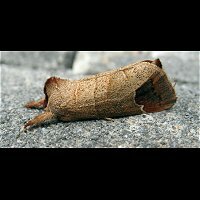 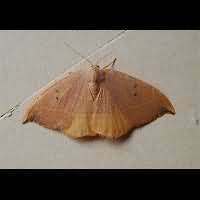 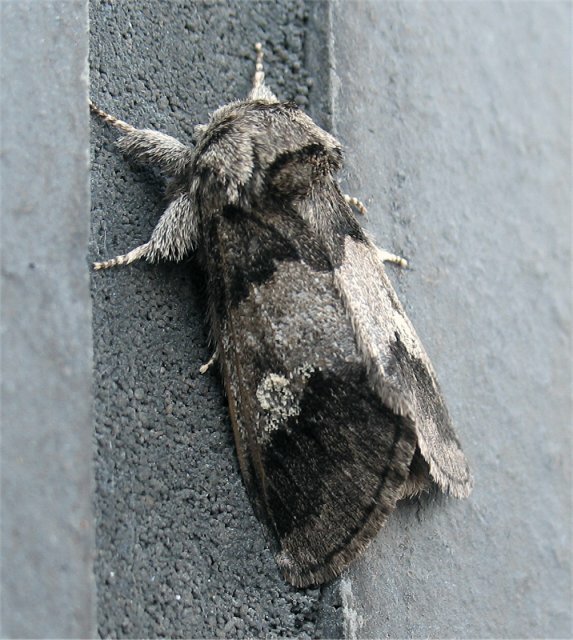 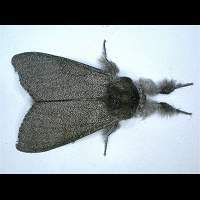 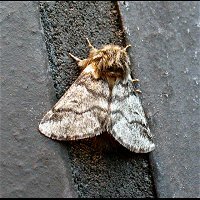 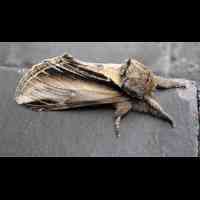 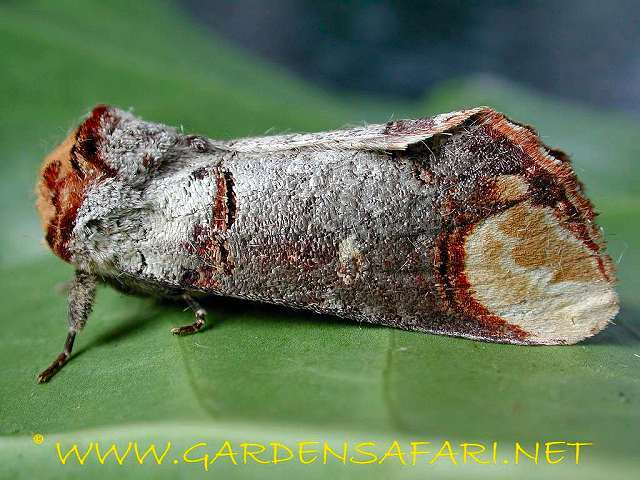 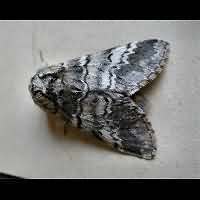 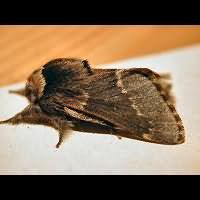 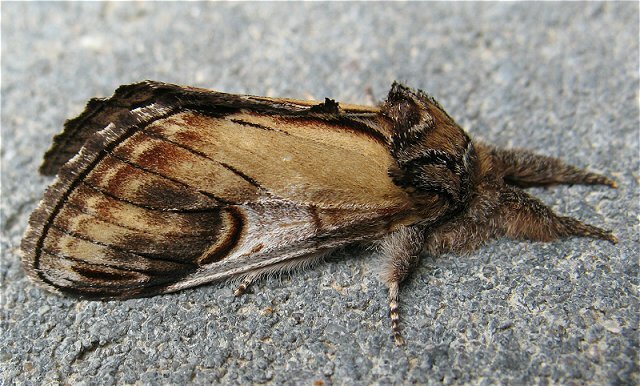 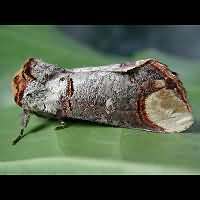 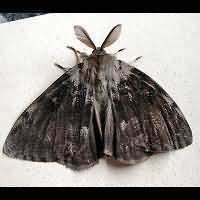 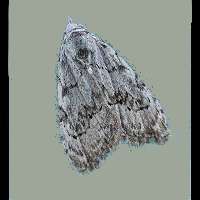 Most of these moths look a lot like Noctuids, such as the Pantheids, Eggars, some Tuft Moths and adult Slug Moths. 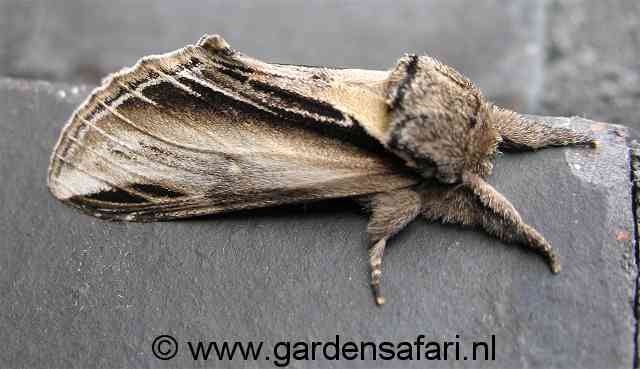 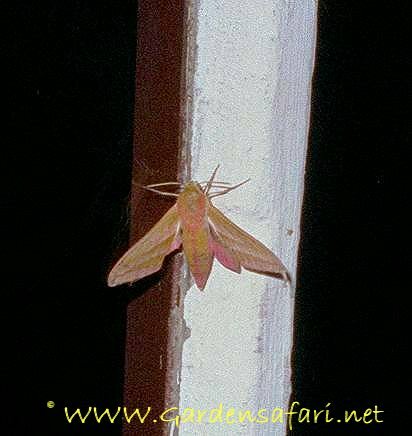 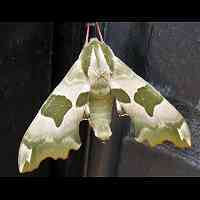 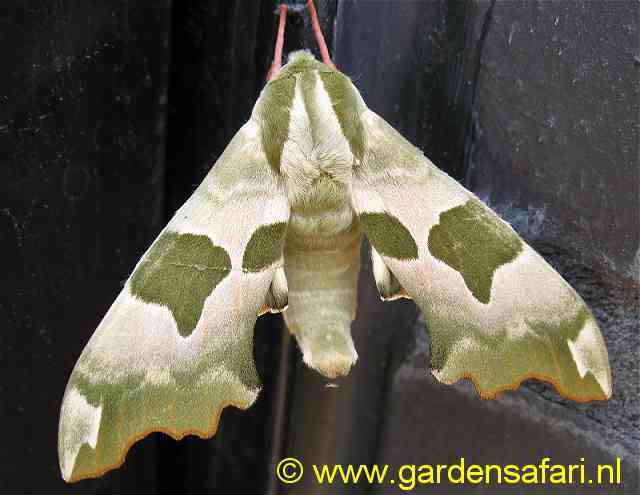 Most Hawk-moths do look very different, but so far only a few have visited our garden. 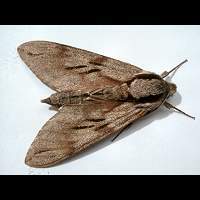 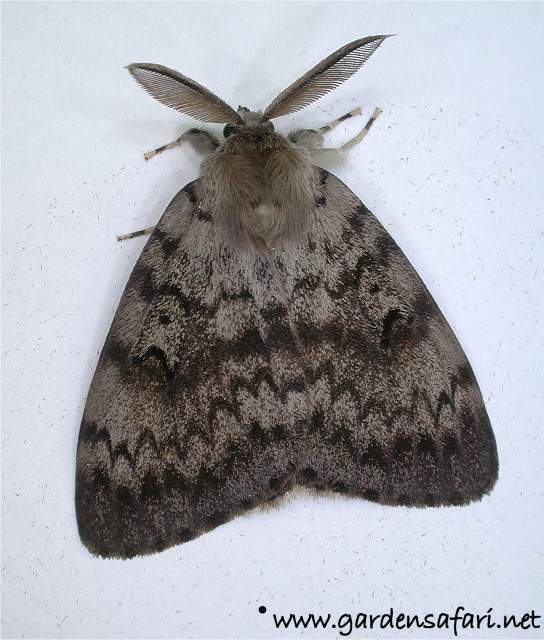 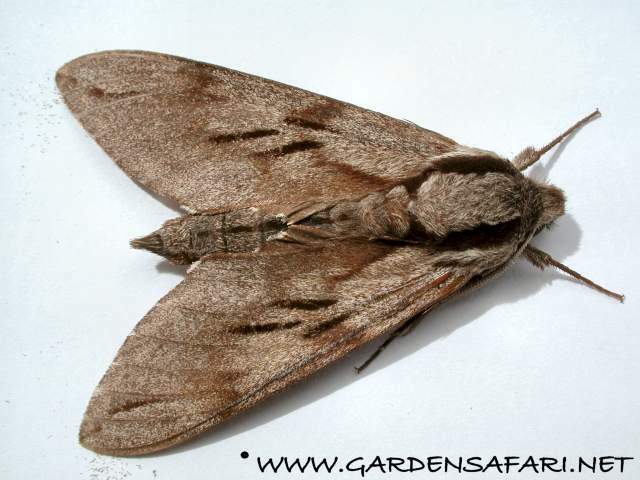 Of the very big moths in our region, most belong to the Hawk moths, of which some species will reach a wing span of some 140 mm! 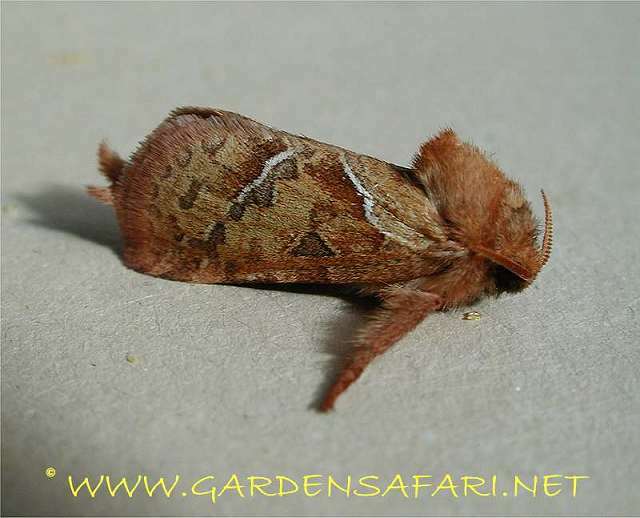 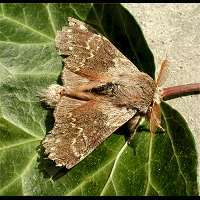 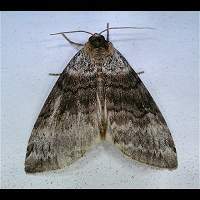 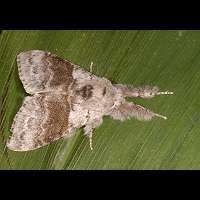 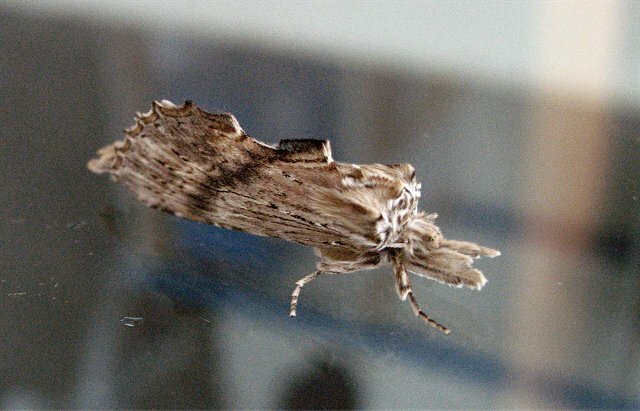 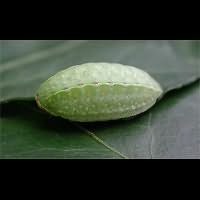 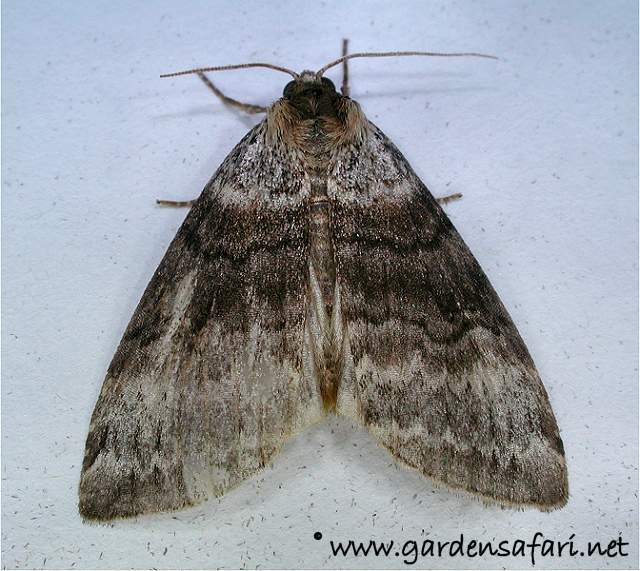 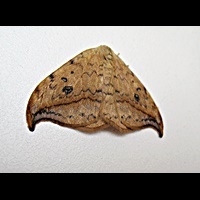 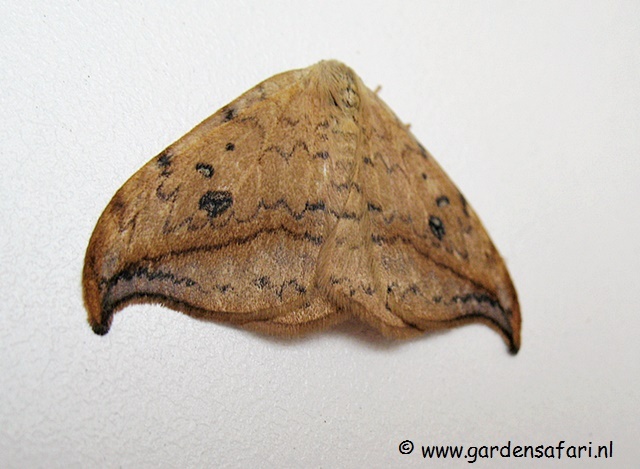 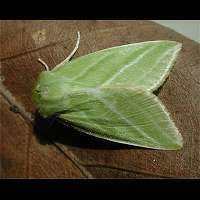 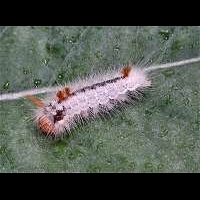 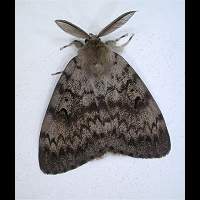 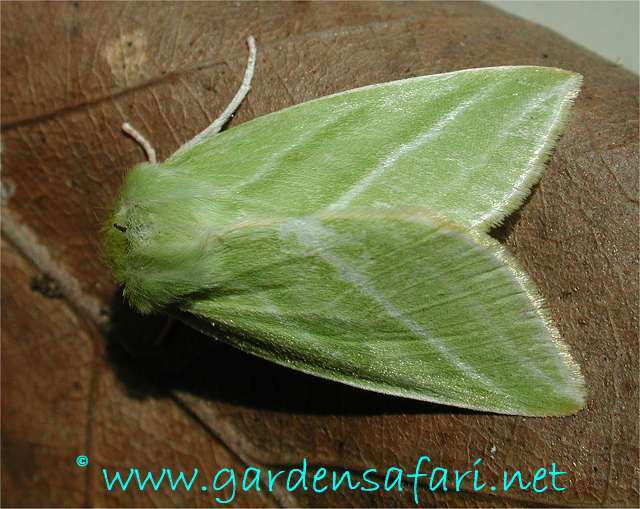 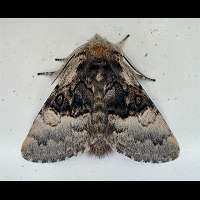 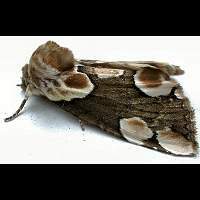 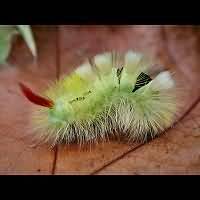 Among the Hook-tips are some that look like Noctuids, while other are similar to Geometer Worms. 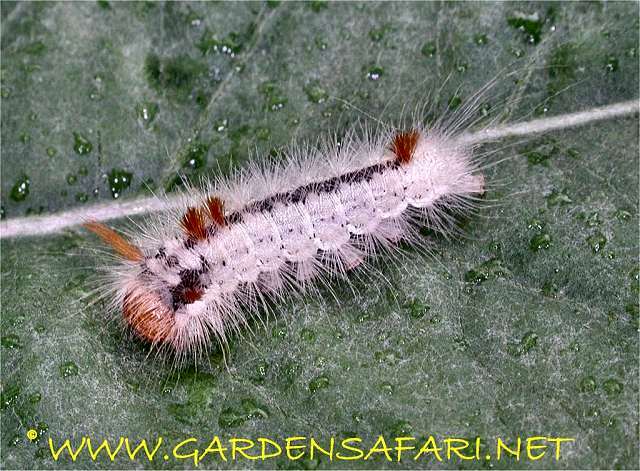 Some information about the family characteristics is given in the decription of the first representative of each family below. 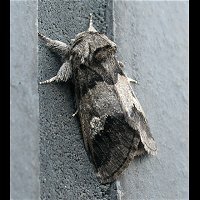 Just click on More... in the text on the right of the picture. 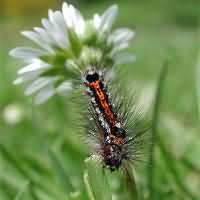 This page has last been modified on Saturday, July 15, 2017.